The PR and communications industry is still grappling with its identity crisis as session after session at PR360 Asia dwelled on blurring lines, new technology and changing mindsets. 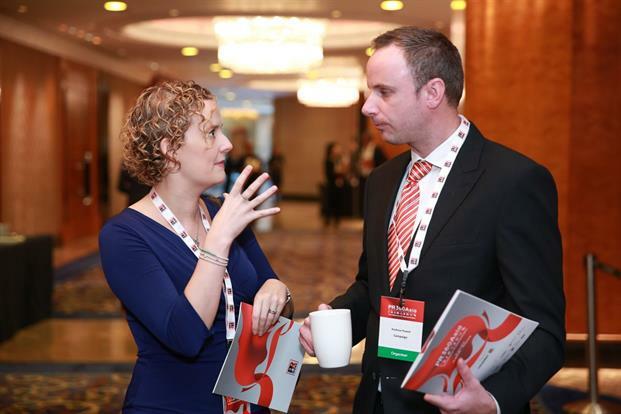 The first two sessions truly set the tone for the rest of the day at the PR360Asia Conference as both clients and agencies wrangled about the industry’s changing definition and the ever-evolving skillsets communications professionals need to survive. After lunch the conference split into two streams, one focused on the Changing Face of PR and the other on the use of Technology, Data and Measurement in the industry. For the winners of the PRWeek Asia Awards 2015 and a gallery, go here. Yolanda Crisanto, senior vice president, corporate communications at Globe Telecom; Jonathan Hughes, international president at Golin; and Stephen Thomas, group head of corporate communications at AIA Group were among the judges on the panel of PRWeek Asia 2015. The panel was moderated by Gary Scattergood, editor of PRWeek Asia. The three judges shared key takeaways from the best entries they received for this year’s PRWeek awards and offered suggestions on areas where PR professionals fell short. Hughes led the panel with candid remarks regarding the realities of executing a PR campaign. "A lot of award entries make out there was this master plan all along and everything worked perfectly," said Hughes. "But we all know it doesn’t happen like that and great work often starts with a small idea that then rolls on and gets bigger." Citing Virgin’s "fair go, bro" campaign in 2013, Hughes highlighted how a simple idea can expand. "When it was clear that the campaign was working, it went above-the-line and became this big thing," Hughes added, stressing that not everything in PR is planned or should be planned. "With the entries there’s a tendency for people to write them like they didn’t have to make changes along the way," he said. "You should just tell us the story of your campaign rather than list your whole laundry list of PR tactics known in the history of PR." Similarly, Thomas shared thoughts on the written clarity of entries as well as the practical outcomes of the PR work being assessed. He emphasised that many entries lacked clear campaign objectives or tended to "hedge" by separating business and communication objectives. "If you can’t put your objectives clearly and show how your execution impacted the business or brand, then you really need to review your entry," said Thomas. "Saying that ‘your client was delighted’ does not cut it as a campaign outcome either. There should also be more data-driven objectives and insights." Although the judges come from different regions and work collaboratively on the review of award entries, Crisanto highlighted that submissions needed to include more local context and described the two-page entries as "a story in itself". "You need to be able to tell the story of your campaign and make it clear in just the first page," said Crisanto. "You can attach other additional insights in the appendix but entrants should also include more on the local context of the business problem as well as things like budget." "I’m from the Philippines and $USD 100,000 is a lot for a PR budget but in other regions in might not be and it’s important to show how the money was used to achieve business results in different contexts," she added. The first panel in the Changing Face of PR stream was moderated by managing editor of Campaign Asia Pacific Jason Wincuinas. The session focused on creativity—or the lack thereof—in public relations. Neil Leslie, Edelman’s Southeast Asia creative director, defined creativity as "constantly experimenting with ways to do things", and "willing to be daring and brave to try something different". Granted, the PR industry does not usually see something groundbreaking every week or, even every quarter, said Dan Benelisha, head of communications of APAC Tiger Markets at Groupon. "It’s about taking your brand’s core values and giving them a tweak when getting a message across. It’s not always about reimagining your brand." At online companies like Groupon, creativity is so measurable that it should not be classified as "this wild thing that’s impossible to attain". In fact, results and research can also back up creativity instead of telling clients to "just trust me", added Leslie. One of the most frustrating things for Benelisha is how he is expected to "throw a few creative ideas at the wall and hope one of them will stick". Real creativity comes from insights, he pointed out, and that is the starting point that creativity can tie back to. The session about the rise of Asian companies and their challenges of going global, moderated by John Mandeville from Intel’s Asia-Pacific corporate PR department. Chinese tech companies, for instance, have established a stronghold in their home turf, but when Qihoo 360 goes outside of China, people mix up the internet security firm with Xbox 360 or Symantec Norton 360. "In China, ‘360’ is synonymous with Qihoo," said David Ip, global business advisor of Qihoo 360. "We got a lot of work to do outside China. We may have the technology, but we don’t have local knowledge of other markets." In the world of apparel, it is the opposite, said Anna Tehan, director of communications at Li & Fung. Western brands are coming to Asia to understand local fashion and beauty trends, and the global market is seeing that reflected in new products. "For example, Korean beauty formulations are something the French brands need to cling on to," she said. At the same time, Asian fashion designers, being recruited by Western retailers, are bringing their Asian-inspired styles with them. Victor Cui, chief executive officer of ONE Championship does not view making Asian sports globally popular as a challenge. This is the first time that the world is paying attention to an Asian sports property centred on mixed martial arts (MMA), he asserted. "The beauty of MMA is that we are able to develop local heroes who are able to transcend to global relevance." This is unlike Tony Fernandez and his ASEAN Basketball League which remained a regional play. "Who wants to see a bunch of short Asians play basketball when you have the NBA?" The first panel session in the Technology, Data and Measurement stream, moderated by Charles Lankester, SVP of RuderFinn focused on the use of data to plan more effective PR strategies and to further communication’s standing in the boardroom. "There is an evolving industry around data analysis," said Lankester, pointing to data analysis tools such as ‘Bottlenose’ capable of measuring 70 billion bits of data on a daily basis. Retrospective analysis of the emails sent by Enron employees, based on senders and recipients, prior to the company’s fall. "The data shows you two things, that there’s not question as to who was running the show, it was Ken Lay, and that it was utterly predictable that the company was about to go down and that Vince Kaminsky was going to be the whistleblower. We know this because he would start BCC’ing himself whenever things got stressful." 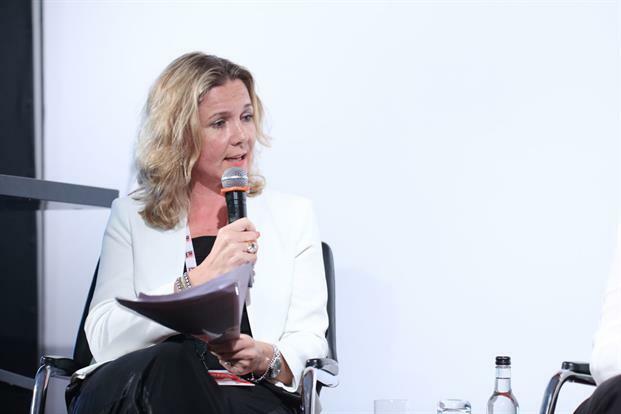 The panel then featured an internal communications case study by Sarah Powell, regional communications director for Asia and Middle East at securities firm G4S, which explained how the implementation of internal communications tool Newsweaver greatly improved her firm’s internal communications. "When I joined last year, internal communications consisted of newsletter announcements in the form of PDF attachments that were emailed to team leaders with a request that they cascade it to employees," shared Powell. "The team was investing an enormous amount of time to produce these newsletters but had no idea about effectiveness." After implementing Newsweaver, Powell learnt that 50 per cent of the people receiving the content weren’t engaging with it. "We were able to take that data to our regional CEO to provide a business case for investing in audience research and new channels of communications. It took him two seconds to agree to that funding because I gave him a statistic." There is little doubt that the industry does need to get more comfortable with measurement and data, said Richard Tesvich, MD and head of corporate affairs, Asia-Pacific at Citi. "The practice of continuing to measure media coverage is naïve and ridiculous," he said. "The ability to tie what we do to business results will separate the haves and the have-nots." This data is the language of the boardroom, he continued, and communications needs to stop thinking of itself as a backroom function and be front and centre in guiding business strategy. Creating context: How is data influencing reputation? Search is the world’s greatest database of intent, said Jacob Zachariah GM, Asia-Pacific and Middle East for Victorious, in the following session moderated by Antoine Calendrier, ‎market leader and managing director, Burson-Marsteller Hong Kong. "Every single day what are you doing when you want to find something, research a question. Take those queries add weather add location, look a words, imagine the context you can get," said Zachariah. Search, for example, said Zachariah, led L’Oreal to discover ombre hair and to repackage its dye with an applicator that allowed consumers to recreate the style at home. "The product was distributed online because the data showed that the consumers interested in it were primiarly online and much younger than the demographic that usually shops the hair-dye shelves." AFP, commented fellow panellist Nicolas Giraudon, deputy sales and marketing director Asia-Pacific for the news network has been hiring more and more data specialists to focus on trends, testing content strategies and replicating success. But ultimately, said Giraudon, the human factor never goes away. "Let's face it despite the overwhelming amount of data out there, journalism hasn't changed. You must verify the information you're getting. You must verify the source. Our reputation and our clients' depend on that." Over the last three years, the PR industry, both in-house and agency, has gone into content marketing overdrive. Spurred on by the growth of digital and social media, PR professionals are churning out content through their "editorial and content labs" and driving it through a consortium of channels. John Hamilton, director of marketing communications, Four Seasons Hotels and Resorts, Asia-Pacific; Dominic Powers, executive vice president and managing director of international at Epsilon; and Stephanie Silvester, head of group marketing at Verizon Enterprise, shared their insights, pain points and considered the future of content marketing in PR. The panel was moderated by Paul Mottram, managing director of integrated strategy at Text100. "At Tex100 we call it ‘content pollution’," said Mottram. "I saw a study recently that said about 70 per cent of marketers aren’t satisfied with the content they produce." Coming from industries ranging from hospitality to cyber security and B2C and B2B, the panel discussion covered a wide range content marketing points but a common theme that emerged was data-driven content. "It comes back to right time, right place, right audience," said Powers. He highlighted the importance of being able to segment content and audiences relative to a user’s journey, which also requires a range of content from short form to long form. At Four Seasons, the hotel group utilizes an online lifestyle magazine to engage with users who are in the "planning phase of their trip or holiday". "Unfortunately people just don’t usually think of hotels first when they first start dreaming about a place they want to travel to," said Hamilton. "So we created an online magazine that’s like a lifestyle and travel publication that gives people ideas." Hamilton and the Four Seasons team also discovered that users go back to the brand’s site after making a booking with certain luxury properties. "Our insights told us that they needed reassurance after making an expensive booking so we began working in subtle reassuring messages in our communications after customers made a booking and also when they arrived at the hotel," Hamilton added. In a different context, Verizon focuses more on the B2B market. According to Silvester, the brand produces a lot of "high-value" long form content that is "gated" in addition to short-form content for users at different stages of the brand’s "nurture cycle". "A lot of our customers are interested in the in-depth stuff behind our technology, where we can also tell a story," said Silvester. "But equally we have smaller pieces of content that is more functional." Silvester said that the Verizon customer-base in Asia consists of decision-makers, influencers and the c-suite. Mapping out the different customer types and tying that to a "journey map or cycle" is a key part of Silvester’s ability to strategise on content. "Ultimately, you need to be able to turn complex product information into stuff that everyone wants to read about or engage with and that’s back to storytelling," she said. "My role is to translate the technical side of our business and to create a model to better understand what kind of content is useful to our customer at the particular moment they’re in." What skills are required for the PR professional of tomorrow? The following panel, moderated by Emma Dale, co-founder and Asia managing director of Prospect, had panellists run the gamut from spelling, social media to specialist counsel. Distinct from advertising agencies which have their talent divided into suits and creatives, PR professionals now have to "wear more hats" otherwise risk becoming a jack of all trades and master of none, said Penny Burgess, managing partner at Red Bridge Communications. "We are looking at how to change our business structure to give 360-support on a generalist level but can also provide deep-dive specialist counsel." From the social media perspective, Ali Bullock, who is now social media ambassador at HandsOn Hong Kong, pointed out that established PR firms are not necessarily ready for social media, he said. "You got these mixed groups of people who want to learn about social media. It is the same fundamentals. Instead of giving social media duties to younger ‘puppies’ in the agency, you need adults in the room. It will be experience from older talent that make social media handling so effective even if it is a whirlwind of pain if someone does something stupid." To Christian Schubert, APAC vice president of corporate affairs at BASF, social media is a tool that is needed to be learnt, but that is still not at the forefront of strategic management functions. "We will come to a point we won’t be talking about social media as social media becomes just a channel like a fax machine. 5 to 6 years later, dedicated social media jobs will not exist but rather jobs that require content engagement skillsets." 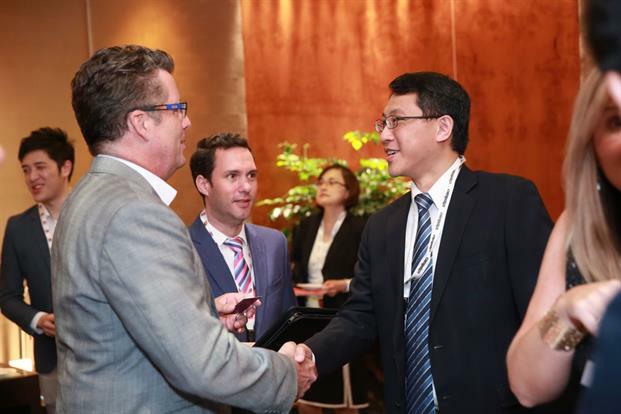 This year, PR360Asia introduced interactive workshops in Hong Kong. Thirty executives from agency and in-house joined PR360 Asia’s Interactive Workshop session on Wednesday. This was the first time the annual conference had been preceded by a training workshop. Presented by Damian Coory, managing director of communications training consultancy Coory & Associates, the four-hour session explored techniques for message development and delivery in an age of content saturation and audience fatigue. The executives sharpened their skills in message development for issues & crisis management, internal communications and marketing communications and explored how to create message structures and narratives that were both attention-grabbing and authentic. "I think one of the key takeaways was an understanding of the importance of using visual channels wherever possible and spoken channels where visual is not an option," said Coory. "The written word should always be the last resort since neuroscience now clearly tells us the brain is simply not wired for print." The group discussed how infographics and video will continue to be the fastest ways of explaining complex content as the amount of information people are exposed to continues to rise exponentially. "But clearly defining the key messages you want that visual content to express remains the starting point. New channels that permit companies to self-generate content are not a license to be un-focused and un-clear in defining what your core messages and objectives are. The fundamentals of great message creation remain," Coory said. "In fact, they’re even more important today because of the limited attention-span of audiences and the demand for greater honesty, transparency and authenticity."